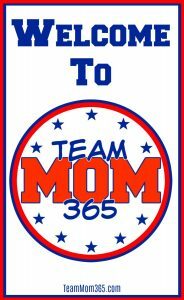 Welcome to Team Mom 365! Hello! Hola! Ciao! Bonjour! Guten Tag! Konnichiwa! Jambo! Ni Hau! Thank you for stopping by Team Mom 365! My name is Sue and I will be your guide on this wonderful journey of living the team mom life 24 hours a day, 7 days a week, 365 days a year. I am so happy you are here!! So, are you wondering if this blog is for you? Completely stealing from Jeff Foxworthy’s “You Might be a Redneck” sketch, answer these questions to see. Are you reading this at 11:00pm while waiting for the uniforms to soak before you go to bed? You might be a Team Mom. Are you reading this while sitting at your child’s practice? You might be a Team Mom. Did you read half of this two days ago and are just getting back to it today because the littles had two practices, a game, you did concession stand duty and had to make 15 snacks? You might be a Team Mom. Are you reading this at a tournament while waiting for your child’s team to play their next game? You might be a Team Mom. Do you have a calendar somewhere in your house colored coded by family member? You might be a Team Mom. Are you reading this while waiting for dinner to finish baking so you can eat a good meal at a decent hour… for once? You might be a Team Mom. Did you stumble on this blog after Googling “What the heck does a Team Mom do”? You might be a Team Mom. Are you reading this when you should actually be putting together the paperwork for the fundraiser you are chairing? You might be a Team Mom. Ok. So maybe your kiddos don’t play sports. That doesn’t mean you aren’t living the Team Mom Life. Nowadays, so many extracurricular activities are all consuming. Whether they are participating in choir, band, theatre, 4H, Robotics Club, Student Senate or the school newspaper or yearbook committee, you likely have a crazy busy schedule and you are, in fact, a team mom. I know exactly what you are going through. Like you, when I first started as a team mom, I felt like I was always chasing my tail. After a while I started finding hints, tips and tricks to make my life easier. With this blog I will share all that I have learned throughout the years to help you manage the tornado-like effect your kids’ extracurricular activities can have on your family. Some of the topics I will cover on this blog will be time management skills, team mom basics, fundraising, parenting tips, and team building activities for not only the players but for the families as well – we all know throughout a travel sports season it’s not just the players but also their parents and siblings who become like a second family to us so why not involve them in the fun as well. We will also delve into things families can do when we are away from the sports arena such as travel (especially to my favorite place on Earth – Walt Disney World) and entertainment (I’ll warn you now, I am sort of – actually a huge – Marvel geek). So how did this all begin, you ask? I became a Team Mom for the first time when my daughter started tee ball at 5-years-old. Since then, she dabbled in basketball, figure skating, cheerleading, dance and gymnastics before settling on softball and court & beach volleyball as her main loves. 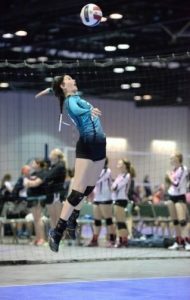 During that time, she has competed in our local little league, in local and in-state tournaments, regionally throughout the Midwest (Ohio, Kentucky, Indiana, Michigan, Wisconsin and Illinois) and nationally seven times. I know what you are saying… why is she giving us her daughter’s credentials? I said all this to show you I have some serious credibility when it comes to being a team mom. All while she was learning and growing as an athlete, I was learning and growing as a team mom. Although, this didn’t fall far from my own area of expertise, since I have a degree in Sport Management from Indiana State University (Yes, the one Larry Bird went to). However, I assure you, having a sports management degree is not required to be a team mom! Being a Team Mom was never in my realm of thinking when I was in college. (Probably because I was so focused on the fact that I was going to be the first female General Manager in Major League Baseball… with the Boston Red Sox, of course.) When the opportunity presented itself to be a Team Mom, I volunteered right from the start – unlike most parents who are reluctantly appointed to the position by process of elimination (i.e., the last one to show up at practice). I was excited at the prospect of being involved where ever I could. I come from a family with a strong ideal of volunteerism and I am a sports junkie at heart so this was my way to stay involved. Since then, I have either been a Team Mom / Assistant Coach / Head Coach every year she played. I was elected to the Board of Directors of the local little league in 2007 where I currently serve as the Treasurer. I have also served on the little league Board as Vice President of Softball and Auxiliary Chair where I founded the league’s first Auxiliary Committee. When my daughter played high school volleyball I founded the high school’s volleyball booster club where I also served as chair. Finally, I took on the role as team owner in 2015 which tested all the things I learned as a team mom to the max as I am now solely responsible for team finances, tournament selection & registration and player & personnel management. In 2013, I received the ultimate honor in “team mom-dom” when I was chosen to be a member of the Disney Parks Moms Panel representing the ESPN Wide World of Sports Complex. As their Team Mom, I helped guests plan their magical Disney sports vacations. This included everything from recommending dining options for teams to resort accommodations suggestions to ways to have fun at Disney when the competition is over. 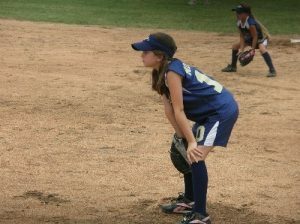 When it comes to coaching I didn’t branch out to far from my playing days and stuck with what I knew and that’s softball. When needed, I have been an assistant coach and a head coach on several occasion. I was even honored to be asked to be an assistant coach for the high school softball team. So what does all this mean to you? It means I’ve been there and done that. From the early years when snack schedules were my biggest concerns to the later years when I was involved in the day-to-day management of team operations, there isn’t a situation as a Team Mom I haven’t seen, heard of or more than likely personally participated in. My time as a team mom not only helped me continue participation in my first love, sports, it also helped me stay close to my daughter and her friends (you can learn a lot on a long car trip to a tournament by just keeping your mouth shut and listening LOL). My hope with this blog is to give you the tools you need to be the best team mom you can be and maximize that strong bond with your children through sports. Being a Team Mom isn’t something that you can turn on or turn off. You are a Team Mom 365 days of the year. It’s a lifestyle! It’s cooking nutritious meals on the fly, it’s helping your child juggle the pressures of school vs. sports, it’s about finding ways to be a Mom first when your team mom duties are calling and it’s about making the most of the little time you have away from the sports field to enjoy the great things in life. Welcome to the journey! It’s going to be such a fun ride.